If you often feel that your life is dictated by the way you feel, and that you can’t be consistent from one day to the next, the chances are that you need to focus on one thing and one thing only - emotional intelligence. EQ is the number one way to not only gain back control of your life but to develop it to higher levels, meeting your potential and achieving your goals. If you’re reading that statement and agreeing, then you’ve come to the right place! Join us as we embark on a self-discovery journey from day one to day 30, giving you easy-to-follow tasks every day. We focus on one particular section of EQ development every single day, allowing you to understand and practice, before moving on to another task. Go at your own speed, follow the days. However you do it, simply make it work for you. By following this 30-day challenge, you will conquer those out-of-control emotions; you will increase your health and wellbeing; you’ll be happier, lighter, more hopeful; and you’ll notice your relationships with others are on the rise. Opportunities will come your way; life will feel magical - there really will be no better feeling. Our tasks don’t require special equipment. They don’t require excessively hard work, and they’re easy to follow, with a conversational tone to help you through your journey on a one-to-one basis. If this all sounds like something you need in your life, join us on your own personal challenge. 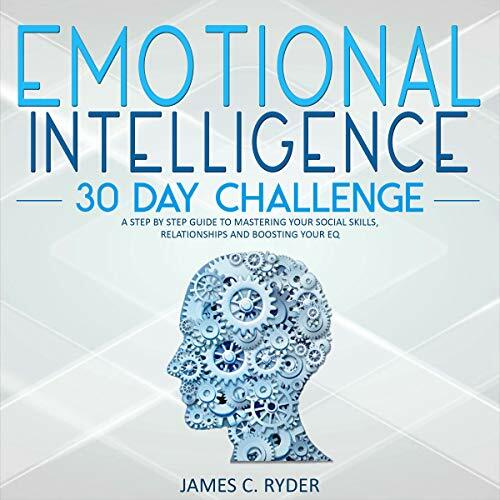 Download The Emotional Intelligence 30 Day Challenge: A Step by Step Guide to Mastering Your Social Skills, Relationships and Boost Your EQ today. the reader is extremely monotone not an enjoyable read. psychologically speaking, it doesn't make those who need to read it really want to read it because it's constantly telling you that you have low emotional intelligence. not enjoyable to read really struggled with it. interesting listen but but nothing new or anything you wouldn't allready know. There are better books on this subject available.